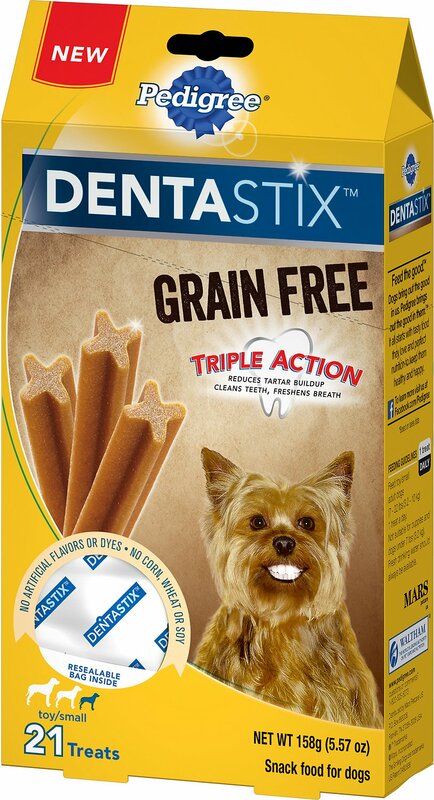 Bring on all those fresh tiny doggy smooches with the Pedigree Dentastix Grain-Free Mini Dental Dog Treat. Great for petite breeds, this grain-free treat packs triple the teeth-scrubbing action in every bite, by helping to keep teeth clean, freshen breath and actually reduce tartar buildup. It works with a patented X-shape and a clinically proven texture that scrubs off plaque even in hard-to-reach areas, promoting healthy teeth and gums as your dog chews happily. It’s a snack and a trip to the dentist all in one, except with lots more tail wagging! So break one open from the fresh-seal pack and get ready to get pup, close and personal. 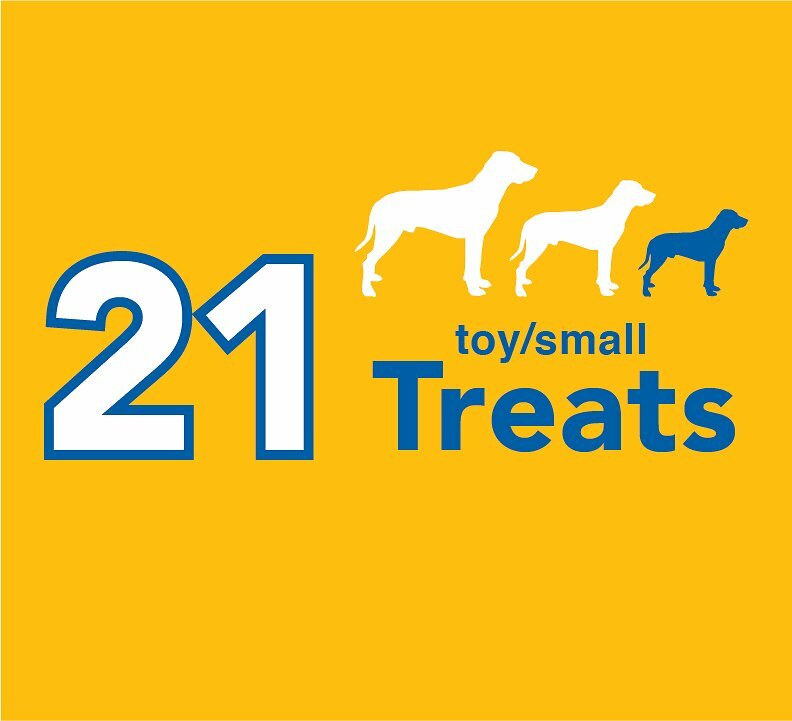 Triple action chew treat for small dogs helps clean teeth, freshen breath and support doggy oral health. Clinically proven texture works to reduce plaque and tartar build-up as your pup chews away. 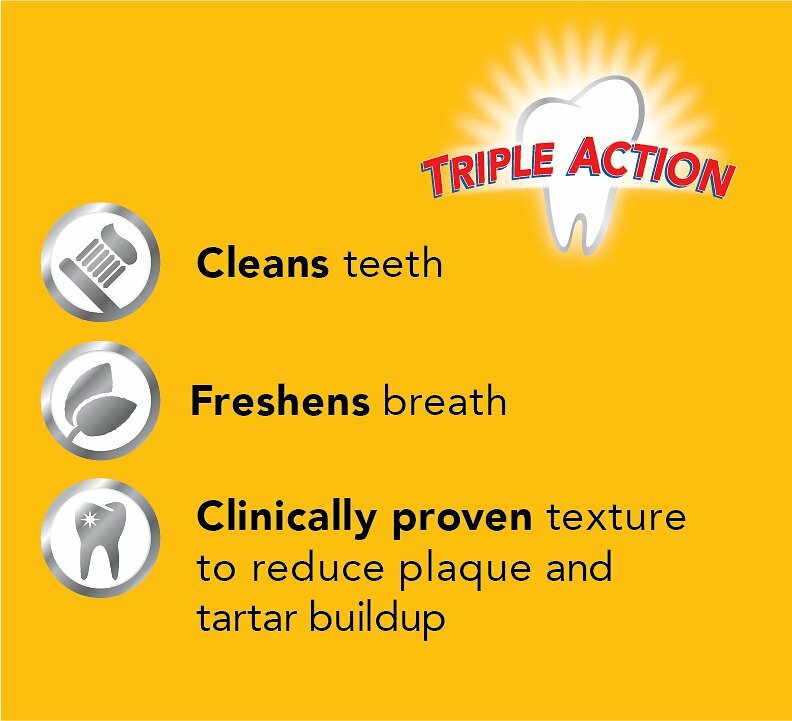 Patented X-shape helps clean hard-to-reach teeth and down to the gum line to promote gum health. Grain-free so they’re easy to digest and great for pups with sensitivities or allergies. Made with zero artificial flavors or dyes, corn, wheat or soy, and are sealed for maximum freshness. 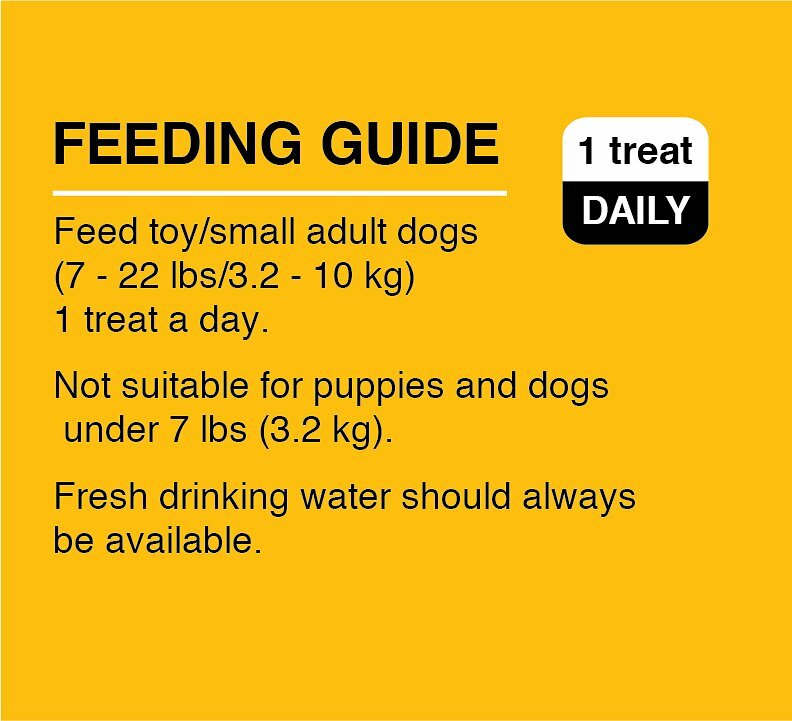 Feed toy/small adult dogs (between 7 and 11 pounds) 1 treat daily. Not suitable for puppies and dogs under 7 pounds. Fresh drinking water should always be available. 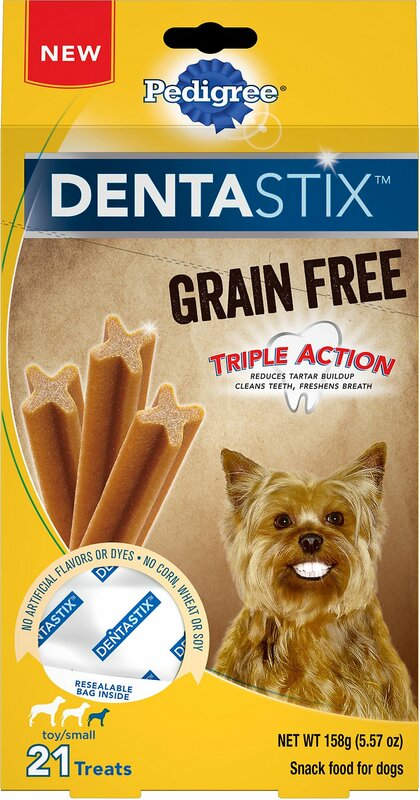 I am never sure if grain free is a better option, but the dogs still love the denastixs. Dogs love them. Good for their teeth and breath. Love the small size. My bishons love this treat after their meals. I like that it is grain free. I ordered this for my Chihuahua, it is an awesome treat that my fur baby loves and at chewy it's a great price.. Delivery was very fast... I definitely will be ordering again..
My senior Yorkies are on grain free food so I was thrilled when Dentastix came out with a grain free version. No tummy troubles as I've had with other dental chews. Our girls love them. They know when it’s bed time and they tell me when it’s time for them to “ brush” their teeth. It’s their nightly routine. So cute to watch them when they come in from their last potty for the night, and they sit and wait for me to get their DentaStix. My pup loves Dentastix, in general. However, I decided to try the grain-free ones to see if his often tummy trouble changed. I think it has. 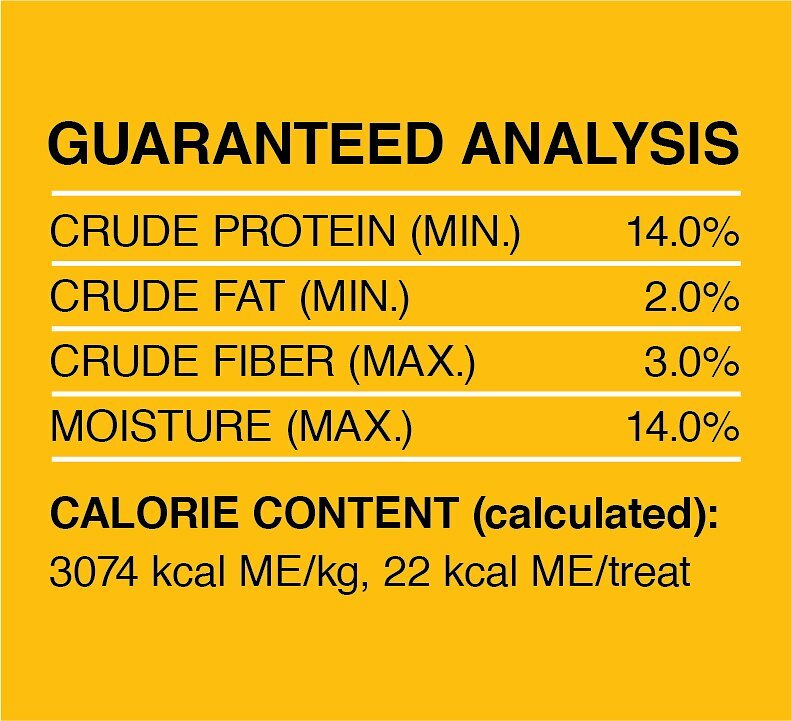 Will buy the Grain-Free treats from now on. My 7 year old Pom loves these Dentastix. She has one after a meal and has really pretty white teeth! My 13 year old lab also had really healthy white teeth. Neither one had any digestive issues from this product.